Over the past few months, I’ve been committed to promoting transparency. I realize others may copy the strategies I use – but, they’ll never be able to mimic my passion, creativity and personalized service. With that being said, I wanted to share a recent analysis I did for one of my current PPC clients. I want to be able to show you how I piece campaigns together and why..
I’ve been working with this company since February on a lot of initiatives, but their main focus has been Adwords. Even though PPC in their industry is extremely competitive, they want to increase their adspend by $10,000 to $25,000 per month. This may seem like an easy decision (because it means more money for me). But, making more money isn’t necessarily my prerogative. It’s about helping my clients prioritize opportunistic channels while constantly improving current campaigns. There’s no reason to throw more money at something when there’s room for improvement. If you have a hard time following this analysis, send me an email and I’ll answer any questions you might have. The last few months, we’ve been talking about transparency during the sales cycle. This would definitely help me forecast more efficiently. For example, how many conversions are actually turning into clients? – and what are your margins for each? What are monthly margins? If you were to convert 50% of form submissions and make $500 (low) on every client, that’s a $26,250 (+6,250) return. With a $25k spend, it would be a $32,750 (+$7,750) return. This is a 1.3:1 ROI. For every thousand you spend, you’re guaranteed to make $300. The ROAS is close because your industry is saturating the PPC market instead of playing the long game. CPA (cost per acquisition) has been consistently rising over the last 6 months because of this and some keywords are now well over $60. In my opinion, an increase in your paid advertising budget may not be a wise investment. Even though I anticipate improving the Adwords CPA, putting an additional $10k into evergreen methods will be more fruitful. Let me explain why.. This is the main reason why we’ve been pushing for SEO. With PPC, we’re guessing the intent behind every search and don’t have an ability to get bad clicks back. There’s also no true way to determine if the “searchee” is a qualified candidate. Even when visitors are qualified, they’re comparing and contrasting other websites and pricing. Blogs allow you to nurture like we were talking about today – and it becomes an autopilot campaign that compliments a pay-per-click strategy. Say you invest $10k on 4 blogs a month over the next 6 months and garner 250 emails and 100 leads. At least 50% (125) of those 250 emails will be qualified customers at some point. Using the same math as above, closing 50% of the SEO leads would drive a $25k profit ($15k margin) and almost a 3:1 ROI. Imagine if that same investment drove you 200 leads over the course of the next year – $10k could turn into $50k ($40k margin) and a 5:1 ROI. and so on.. If you do all of the work in one month and plan out the next 6, you’re left with an additional $50k that you’re still wanting to invest. I recommend putting more money towards improving your on-site conversion rates. Revising some of the deficiencies of the website and improving your brand image will maximize your current clicks in Adwords. In July, we were right around a 7% conversion rate. In the last two weeks, we converted 68 of 975 clicks. If we can get this closer to 20% (195), that would bring our CPA down around $65. Once we’ve executed this number, we can talk about scaling the campaign by adding $10k to the monthly budget. In addition to SEO, I think there are a lot of little things we can do to improve CPA – outside of bidding, tracking and writing compelling ads. submission funnels that encourage people to continue filling out info by asking questions they can relate to. I’m confident in my ability to write and capture these videos by understanding the obvious wants/needs (and hidden wants/needs) of your target audience. Original company photos on landing pages. You speak to consumers more when they feel like they can get to know the company before calling. Stock photos or basic images don’t allow you to stand out from the standard pictures everyone else uses. Capture photos that show landmarks (signage, building), branded props (letterheads, coffee mugs, pens) and actual employees/clients (meetings). Icons and branded graphics that explain your process with visuals and minimal text. Industry news, law changes, lawsuits, educational content, etc.. This would go hand in hand with the blog strategy. About videos for stakeholders, managers, consultants, attorneys. As you can see, simply increasing a budget isn’t always the best option. It may improve your lead generation, but if you’re not continuously improving – you’ll eventually become stagnant. Competition is real and they’re always looking for a way to bring you down. So, stop “competing” with them to see who can spend the most money and start investing in your customer’s experience. Would You Like a Free Analysis? I take pride in my ability to understand a business and it’s customers. In addition to sharing my time and perspective during consulting sessions, I avoid selling at all costs. I would rather you reach out to me down the road than try to talk you into buying into my mentality. 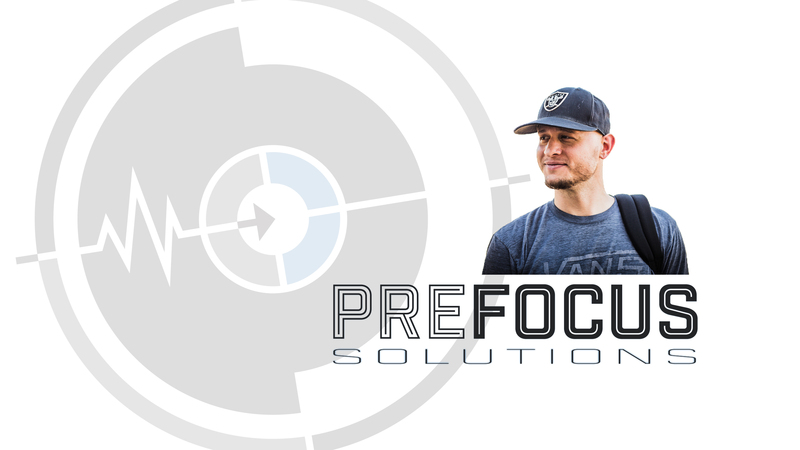 At the end of the day, our PreFocus has to be cohesive. I have to know you’ve bought in before we can proceed.